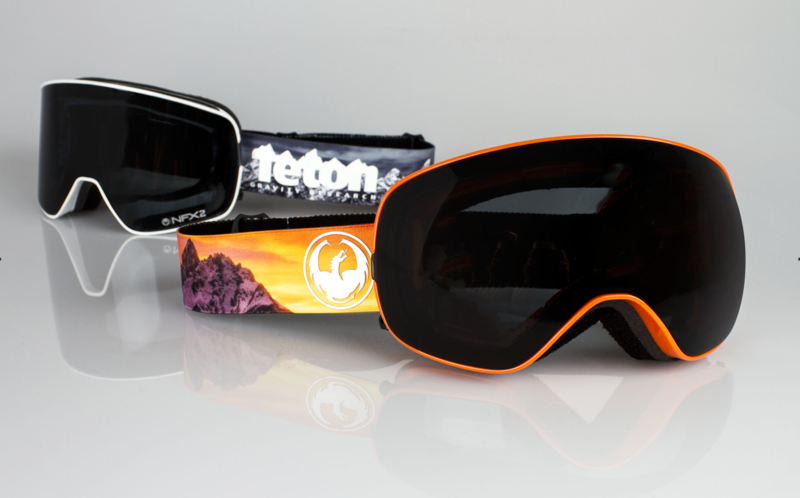 SAN CLEMENTE, Calif. (August 1, 2016) Teaming up with action-sport media pioneers Teton Gravity Research (TGR), Dragon has created two special edition goggles: the groundbreaking NFX2 & the X2s, both featuring SwiftLock Lens Technology. For over 20 years Wyoming-based TGR has been creating original snow and action sports content of the highest standard—producing 40 films and television series featuring the world’s top athletes, as well as producing film tours, merchandise, and an industry leading website that supports it all. The limited edition TGR X Dragon goggles bring together the leaders in mountain culture content and Dragon’s most advanced goggles. Inspired by the jagged peaks of Wyoming’s iconic Teton Range, the TGR x Dragon NFX2 Goggle features a black and white panoramic photo of the mountains and a white Teton Gravity Research logo. The TGR x Dragon X2s version features a full-color sunset panoramic of the peaks, with similar logo detail. Look for both TGR x Dragon Goggles available Fall 2016 at the finest snow retailers worldwide, plus online at http://www.dragonalliance.com. Established in Southern California in 1993, Dragon is a premium eyewear manufacturer with a deep heritage in the action sports market. The brand is internationally recognized as a performance based and is distributed in over 50 countries. Dragon has a world class team of athletes which help inspire the product and technology, and produces a range of products including sunglasses, snow goggles, motorsport goggles, and select softgoods. For more information on all of Dragon’s premium eyewear offerings, visit http://www.dragonalliance.com. TGR is the leading brand in adventure, action-sports, and youth-culture media, and provides world-class storytelling that has captivated audiences for more than 20 years. With a global, multi-channel footprint, a thriving millennial audience, award-winning multimedia film projects, a rapidly growing experiential platform, and unprecedented viral content, Teton Gravity Research is one of the fastest growing media brands on the planet. TGR is a proud member of 1% For The Planet, BICEP, Surfrider Foundation, IMBA, and Protect Our Winters. For more information on TGR, visit TetonGravity.com.